Donations are easy! Donate online or leave food and money donations at the entry to the driveway. Head North up Westview Drive, which becomes Delbrook Ave. 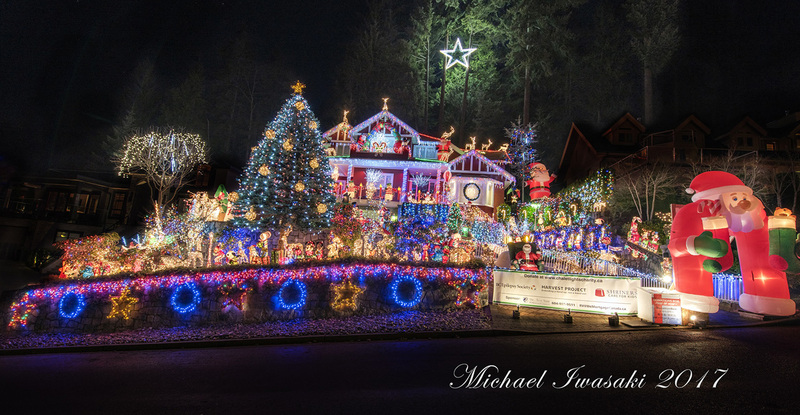 The Ribalkin/Viau family are at it again – covering their roof, gardens, gutters, railings and driveway in thousands upon of lights, blow-up displays, Christmas decorations and holiday cheer. The family hopes that their beloved star will bring even more visitors, as their neighbours across the street last year cut back some trees, which will make the star viewable from Stanley Park and parts of downtown Vancouver. The family gives 100% of all proceeds to charity. 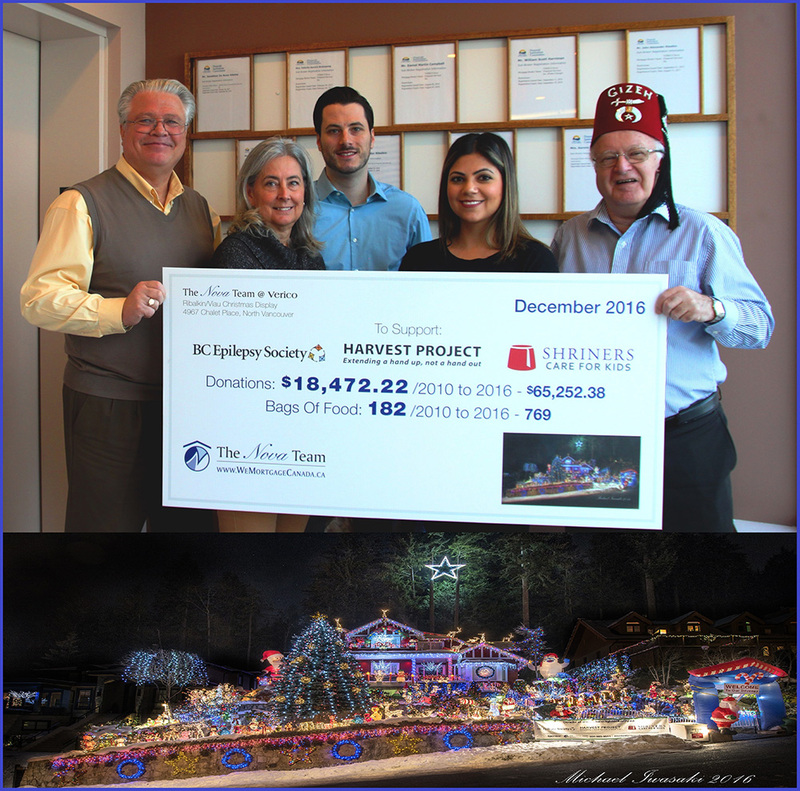 The overhead is covered by Aurore and John’s business, Verico Nova Financial Services Inc.
All three charities are returning this year – the Harvest Project, Shriners Care for Kids, and BC Epilepsy Society. Harvest Project is local charity which helps people go forward with their lives. John is a Shriner, which is a reason for the third charity – Shriners Care for Kids. Shriners help transport children to hospitals. Online donations can be made at http://chaletlightscharity.ca/.